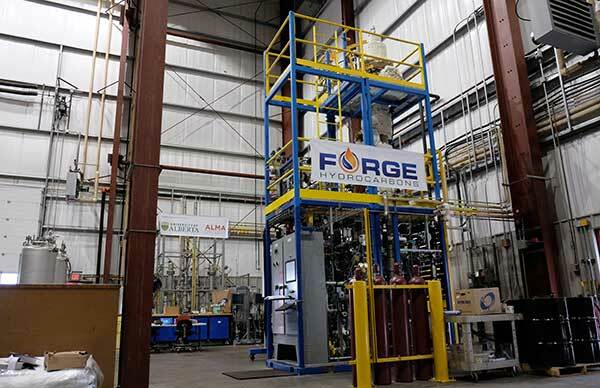 New technology employed by Forge Hydrocarbons Corp., a University of Alberta spinoff company, proves you don’t have to dig oil wells to produce fuel. You only have to dig through the muck we send to the landfill. Waste streams like those from rendering plants and restaurants are loaded with low-grade fats and oils that can now be converted into biofuels for renewable diesel and other hydrocarbon based products. Dr. David Bressler is the award-winning scientist behind this innovation. Bressler is a professor in the Faculty of Agricultural, Life and Environmental Sciences at the University of Alberta. 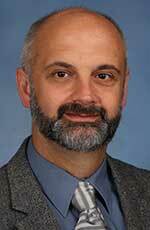 He’s also executive director of the Biorefining Conversions Network and scientific adviser to Forge Hydrocarbons. This discovery opened the door to developing a new way to produce bio based diesel. What’s unique about Bressler’s process is the ability to make the fuel without the use of hydrogen as a catalyst. This significantly reduces the cost of production and diminishes its environmental footprint. Another advantage is that the process doesn’t require a pristine or even clean feedstock. Bressler has also discovered there are additional sources beyond rendering fats for material suitable for conversion to renewable diesel. The Forge Hydrocarbons pilot plant at the Advanced Energy Research Facility in northeast Edmonton produces about 20 litres per hour. That will increase significantly when the company’s demonstration plant opens next fall in Sombra, Ont. Full production there will be more than 19 million litres a year. It’s easy to see why the potential to commercialize Bressler’s discovery has attracted enthusiastic response from investors. Those include Alberta Innovates, Natural Sciences and Engineering Research Council (NSERC), Alberta Livestock and Meat Agency, Western Economic Diversification and Sustainable Development Technology Canada. Ultimately the renewable biofuel produced by Forge Hydrocarbons will be used　as a drop-in fuel for vehicles. Bressler is applying for patents on the facility design and other uses for the product. One potential market is the cosmetics industry because the production process is free of catalysts or reagents. Veteran broadcast and online journalist Cheryl Croucher produces InnovationAnthology.com which can be heard online and on CKUA Radio. This is the third in a 10-part series sponsored by　Alberta Innovates.